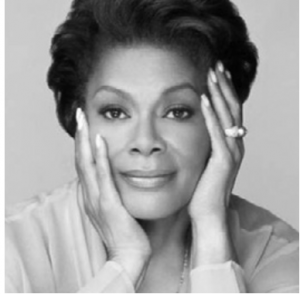 DIONNE WARWICK’S BANKRUPTCY | Jeffrey B. Irby, P.C. Singer Dionne Warwick led bankruptcy in 2013 after several consecutive years of tax troubles that resulted in a $7 million tax bill to the federal government and a $3 million tax bill to the State of California. How does a person end up with a $10 million tax liability? It’s simple: Interest and penalties. Though Warwick said she eventually paid the original amount of the back taxes, the compounding interest and penalties become overbearing. Perhaps the biggest lesson to learn from Warwick’s bankruptcy is this: Take control. Burying your head in the sand never works. In fact, if you are facing a financial di culty, and you simply ignore the problem, it will only worsen. You already know this: If you are late on a payment, for instance, and you fail to call the creditor and ask for an extension, the calls and collection e orts only intensify. If, on the other hand, you take control, you can likely find a more manageable solution. Too often, people wait until the problem has spun out of control. They allow the bills to pile up, the taxes to go unpaid, and the fines and penalties to accrue. And for what? They end up with years and years of financial troubles. It usually looks something like this: You have a financial crisis, but you are naively optimistic. You think that somehow, somewhere, the money will come in, so you place your unpaid bills in a pile. When the money doesn’t come in, the pile gets higher and higher, until it looks unmanageable. Now, instead of feeling optimistic, you feel panic and anxiety, so you continue to ignore the pile. Eventually, the pile looks like a mountain. If this sounds familiar, take a lesson from Dionne Warwick. Instead of allowing one, three, or ve years to pass—take action, now. This might mean debt negotiation—a viable solution if you have a large chunk of money to settle unpaid bills. If you do not have a large chunk of money, it might mean that you consider bankruptcy, which will give you a chance to wipe the slate clean and start over. The biggest differentiator that determines whether a person recovers financially is this: Intentionality. Those who recover take control, are proactive, and become masters of their nances.